The holiday season is upon us! Many of us are preparing to gift shop, or are already in the thick of holiday shopping. While many of the newest products and toys in stores may seem like great gifts, some can actually pose hidden dangers. 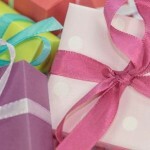 Keep reading for some tips and tricks to gift safely this holiday season. Although children love receiving new toys as gifts, keep in mind that toys are also one of the main categories of children’s products that are recalled each year by the Consumer Product Safety Commission (CPSC). In 2014 alone, 19 toys, or 2.7 million units, were recalled by the CPSC. These toys were recalled for risks such as: falls, choking, strangulation, burns, drowning and poisoning hazards. 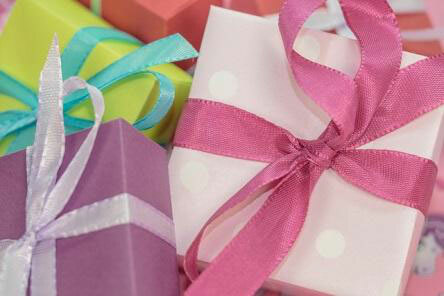 Make sure you are giving the children in your life safe gifts: check toys for recalls. Many new products on the market do not fit into any formal product category, so despite being in stores, they may not meet the ASTM F963 standard for toys. This in mind, we believe all parents and caregivers should have the safety information they need to choose products that will make great, safe, gifts. Follow age recommendations on products. Be aware that although a product may be appropriate for older children or adolescents, any younger siblings they have may be at risk. One particular gift hazard has recently emerged: Zen Magnets were put back on the market for children after a court overturned a CPSC ban on the product. Zen Magnets, Buckyballs, and other similar magnet sets have tiny, high-powered magnets, which, if ingested by a child, can lead to serious internal damage that often requires surgery to repair. Despite the serious ingestion risk and dangers posed by this product, these magnet sets are back on the market. Keep these magnet sets off your shopping lists! This holiday season, give your loved ones the greatest gift of all – safety and peace of mind.